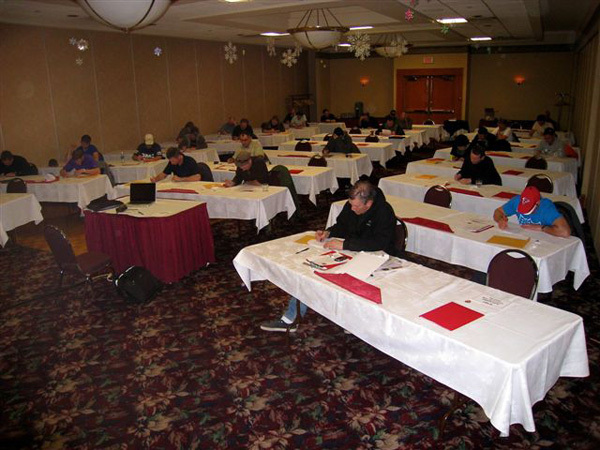 TORONTO – The EIFS Council of Canada’s (ECC) industry-leading EIFS Quality Assurance Program (EQI) will be bringing its EQI Technical Review Manual (TRM) review and EQI exam sessions to Winnipeg (February 9), Halifax (February 16), Calgary (March 15) and Ottawa (March 21). EIFS mechanics, manufacturers’ reps and auditors will participate, following similar recent events in Edmonton, Calgary and other cities across Canada. EQI-certified EIFS professionals are positioned to ensure that the mandated ULC S-716 EIFS Standards are met. Overall, growing numbers of EQI-certified professional organizations across the county will confidently bring a higher profile to EIFS. The EIFS Council of Canada (ECC) formed a not-for-profit corporation called the EIFS Quality Assurance Program Inc. (EQI). EQI owns the intellectual property rights and trademarks of the EIFS QAP and will be responsible for the overall operation of the program. EQI has several key components: Research & Development, Standards & Specifications, Manufacturer Evaluation, Accreditation & Licensing, Contractor Accreditation & Licensing, Mechanic Certification & Licensing, Documentation, Site Auditor Certification & Licensing, Conflict Resolution, and 3rd Party Warranty. Founded in 1987, the ECC, a national not-for-profit industry trade association, represents the overall EIFS industry in Canada. The ECC membership is comprised of EIFS manufacturers, distributors, component suppliers, contractors, building science/design consultants, affiliates and financial services companies. The ECC serves as the “official voice” of the EIFS industry with a mandate to provide for the advancement and growth of the industry across the country, through advocacy, education and marketing. For more information, visit www.eifscouncil.org.